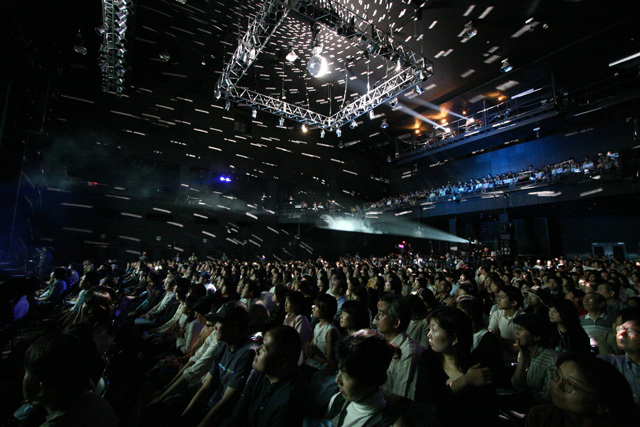 The mission debriefing session by Astronaut Soichi Noguchi was held at Zepp, Tokyo on October 1, 2005. Over 1,200 people packed the hall to hear the first mission debriefing open to the Japanese public since the STS-114 mission ended. Ms. Maki Ohhashi, the hostess of the meeting, opened the session. 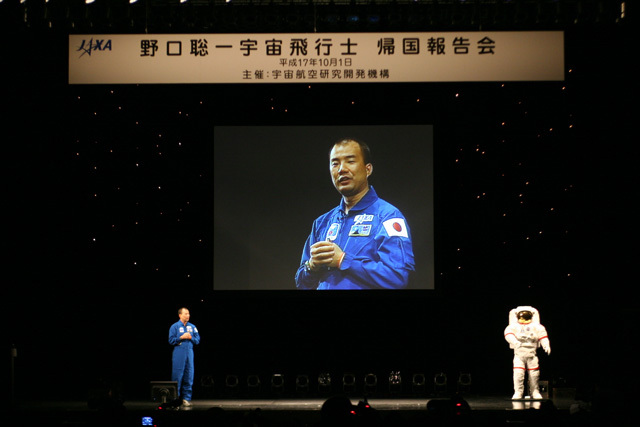 Following a greeting by President Tachikawa of JAXA, Astronaut Noguchi appeared, to thundering applause. Astronaut Noguchi reflected upon the STS-114 as, "A mission filled with awe, inspiration, and joy, from the moment of launch to the moment the tires of the shuttle stopped rolling upon landing. "The mission was debriefed from launch to landing, with the aid of video movies and photographs taken during the mission. 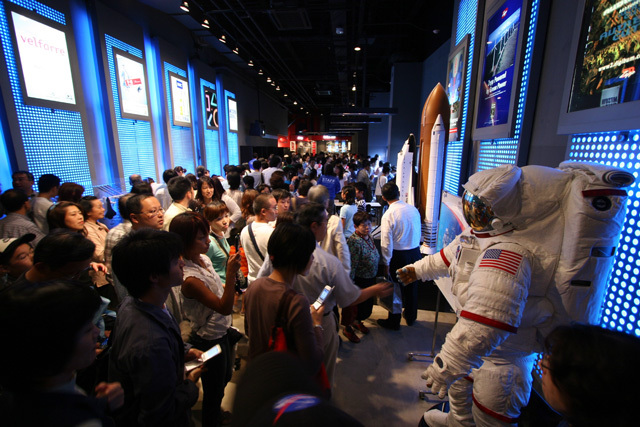 During this mission, the Shuttle had many opportunities to fly over Japan, and photographs depicting various views of Japan, such as Mt.Fuji, Sadoga-shima, and Chigasaki, filled the hall with awe. 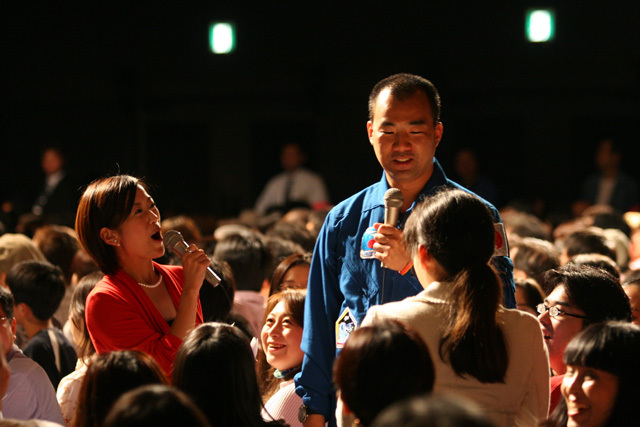 During a talk show, Astronaut Noguchi explained how he felt when he ventured out into space for an EVA for the very first time and related other behind-the-scene stories. 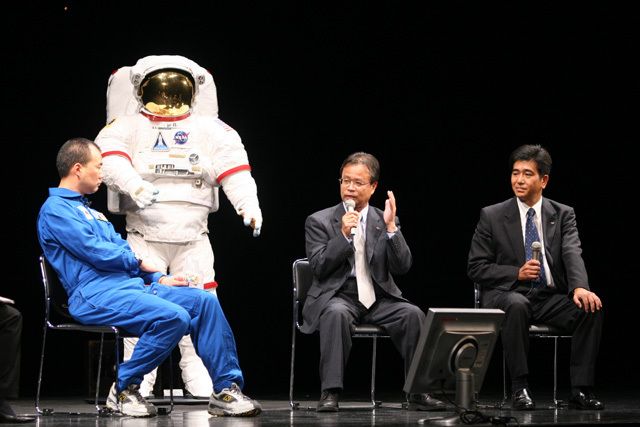 Mr. Yoshinori Kohno, a Japanese ancient-martial-art expert, joined in during the middle of the talk.Astronaut Noguchi visited Mr. Kohno, seeking advice on efficient uses of the body during an EVA before the mission launch. 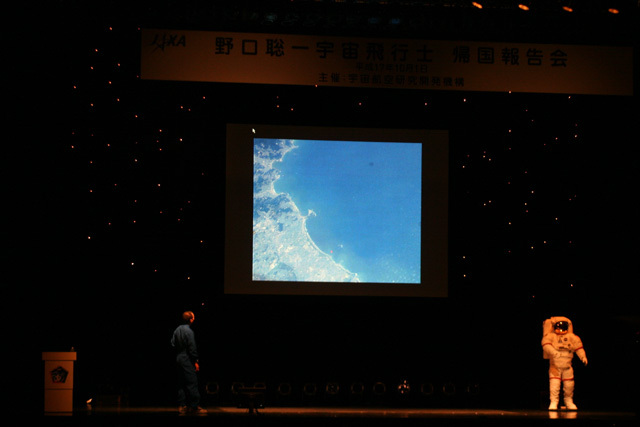 Mr. Kohno taught Astronaut Noguchi new perspectives and more flexible thinking. 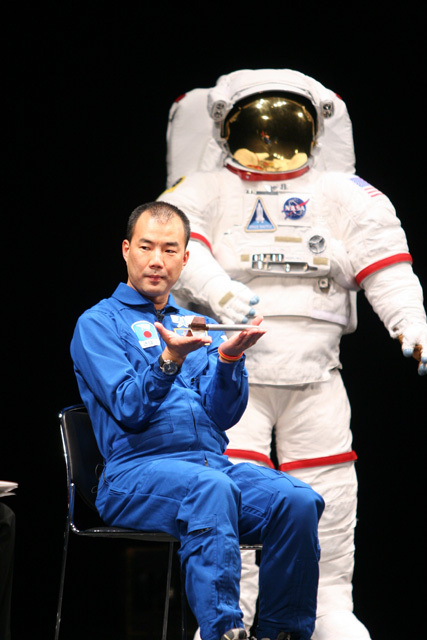 When Mr. Kohno lifted Astronaut Noguchi with ease, the audience was amazed. 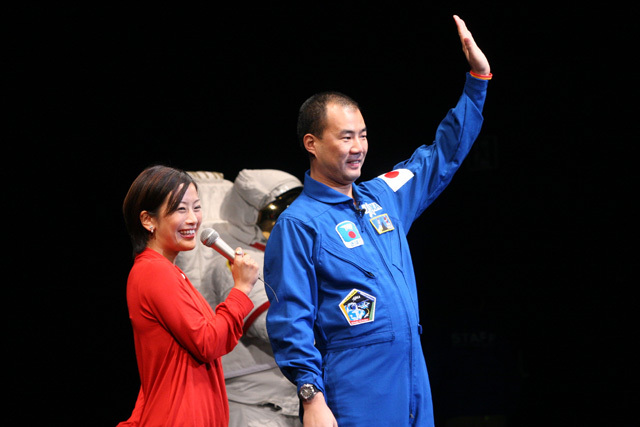 The next topic on the show was "Space Ram" or Space Ramen (noodles), and Mr. Nakagawa and Mr. Matsuo from Nisshin Food Products Co. Ltd., a company that co-developed "Space Ram" with JAXA, were introduced on to the stage. They talked about the difficulties of developing "Space Ram," such as developing a noodle that would unwind inside the mouth, and making the soup flavor strong enough, since a strong flavor is preferable in space. Mr. Kohno lifts Astronaut Noguchi with ease. Mr. Nakagawa and Mr. Matsuo of Nisshin talking about "Space Ram"
During the question-and-answer session, people asked questions such as “What was your favorite training?" and "Which was more comfortable, the Shuttle or the ISS?" Noriyuki Makihara and m-flo, the Japanese pop-singers, sent in messages as well.